From the “P” litter, Thorin came to us with his sister (Arwen) from Noelany Labradors in Bulgaria. Thank you Milla Demireva for entrusting this sweet boy to us. Thorin is a peach! He does not wander far when walking around the yard and loves to follow us. He enjoys swimming and retrieving bumpers (or stealing them from his sister) -- he always wants to be the one with "the prize". 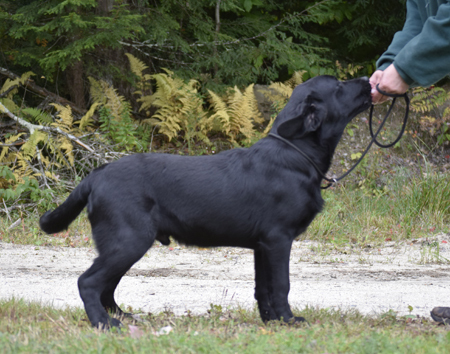 We are having so much fun with these two pups.Watch for Thorin in the show ring in 2016!